Introverted Thinking is the dominant function of some of the leading physicists, philosophers, leaders, and technological wizards in the world. It is focused on intensely expanding one’s own knowledge of a subject and finding how it is related to other subjects. Introverted thinkers are analytical and internally organized in their thoughts. One could imagine their minds as having little doors, each leading to specific libraries, each holding a multitude of books on a particular subject. Where Extraverted Thinking (Te) is largely focused on organizing and directing the outer world, Introverted Thinking (Ti) analyzes and organizes knowledge internally. Introverted thinkers have very little interest in directing other people and have more interest in organizing and expanding their own knowledge base. They come up with independent conclusions that are unique and do not rely solely on existing facts. Ti-users will always strive to remain logical and reasonable and they are exactly the people you need when you need to troubleshoot or solve a complex problem. that Ti-users “despise working in a cookie-cutter, step-by-step fashion. Eschewing instruction manuals and “how-to” guides whenever possible, they prefer to use their own methods and powers of reasoning to figure things out.” A good way to understand this is to imagine an ISTJ and an ISTP fixing a washing machine. The ISTJ uses Extraverted Thinking (Te), and would probably look at the manual before getting started on the project and follow the outlined guide. The ISTP who uses Introverted Thinking (Ti) would probably cast aside the manual and get right to work trying to figure out the whole entire machine in their own way and independently finding a unique solution. Now obviously there are variations to this, but it’s one way of understanding the difference between Te and Ti. Ti-users like to understand all the in’s-and-outs of a problem before making a decision. Where a Te user likes to take in only the information necessary to make a decision and, in fact, thrives on the decision-making process, Ti users like to understand all the complexities, all the pieces of the problem, before they make a decision. They will make this decision internally, without needing to talk to others about their process. The outside world may see the Ti-user as procrastinating or wasting time while, in fact, they are carefully considering all the options and angles and pieces of an equation before forming a conclusion. , Ti-users “show high use of four brain regions that afford complex logical reasoning….Ti types dedicate themselves to using brain resources that other people tend to neglect.” These four regions are in charge of many different tasks: linearly deriving solutions, categorizing and defining concepts, integrating visual-kinesthetic data, and holistically weighing numerous pros and cons of many factors or options. Nardi suggests that Ti-users can think even when there are visual, auditory, and kinesthetic distractions. As a result, Ti-users can detach themselves from the current moment to think through a problem clearly. INTPs and ISTPs are known for their ability to find commonalities between seemingly unrelated things. They may seem laid-back to the outside world, but internally they are often sorting through a vast storehouse of information and knowledge. They analyze and organize all their thoughts internally and will show the world the possibilities and innovations they see (INTPs) or their hands-on practical skills (ISTPs). They want to understand the underlying principles behind how things work, and can often be found taking things apart and putting things back together. They love to improve systems and solve problems. They are known for being independent, open-minded, yet impersonal. Many great minds have been dominant Introverted Thinkers; people like Albert Einstein (INTP), Marie Curie (INTP), Miyamoto Musashi (ISTP) and Magnus Carlsen (ISTP). INTPs love to let ideas spring forth from their minds, gathering inspiration from their surroundings and then digging deeper internally to form a vast web of interrelated subjects and themes. Many university professors and mathematicians are INTPs because they love the opportunity to study and research and constantly learn more. Their focus in life is less on financial achievement and more about having autonomy, and having creative freedom. That said, most INTPs would love to earn a lot of money, but unfortunately they earn far less than their Extraverted Thinking cousins. An ENTJ or ESTJ will earn an average of $77K or $76K per year, while the average INTP will earn $36K per year. According to the MBTI® Manual, INTPs are among the three highest on two of three measures of creativity. They also prefer the academic subjects of art and science. While many of us can easily imagine INTPs being skilled in the fields of science and mathematics, what many don’t realize is that INTPs have a very strong creative and artistic streak. Randall Munroe, the cartoonist for ‘xkcd’ is an INTP, along with the pianist Glenn Gould, and actress/comedy-writer Tina Fey. 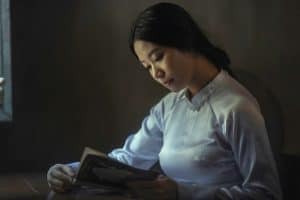 INTPs use Introverted Thinking to expand their inner knowledge base, make new discoveries about the universe, and gain a deep and rich understanding of the underlying principles that govern everything from mathematics to art to philosophy. ISTPs are some of the most practically intelligent of all the personality types. They are known for being good with their hands, calm in a crisis, and excellent at solving problems as they arise. They are usually skilled in the fields of mechanics and applied science. They have a cool, aloof presence that hides how much thought and analysis is going on underneath the surface. That said, ISTPs are more apt to be “doing” something than sitting and analyzing for long. They love to work with their hands, to build and construct. They thrive on new and novel tasks, improving systems, and reacting quickly in challenging and ever-changing environments. According to the MBTI® Manual, ISTPs are highly represented among male college scholarship athletes. The combination of practical, hands-on logic and extraverted sensing (Se) allows the ISTP to have a certain physical grace and knowledge of sport. Isabel Briggs-Myers says of ISTPs that they can “use general principles to bring order out of confused data and meaning out of unorganized facts.” This is one reason that ISTPs can also greatly excel in the fields of economics as security analysts or sales analysts. ISTPs use Introverted Thinking to accumulate knowledge and create their own logical system that is completely independent. They organize all the knowledge in their mind and find a connection and an underlying principle that ties it all together. They are excellent problem-solvers and quick to come up with logical solutions in a crisis. Some famous ISTPs include Jack Dorsey (the founder of Twitter), Ron Paul, Clint Eastwood, and Bruce Lee. ENTPs and ESTPs access Introverted Thinking only after it filters through Extraverted Intuition (for the ENTP) or Extraverted Sensing (for the ESTP). They are first of all stimulated by either the sights, sounds, textures, and opportunities of the world around them (ESTPs) or the possibilities and potential of the world around them (ENTPs). ESTPs and ENTPs come across as open-minded, spontaneous, curious, and tolerant. They will be more expressive to the outer world, and more sociable as they find stimulation and excitement by interacting with their surroundings. They will have a natural charm and ability to read other people because of their tertiary Extraverted Feeling (Fe), but deep down they prefer the world of logic over the world of feelings and emotions. They usually keep their own emotions well-hidden from the outside world. ENTPS are visionary, analytical, and imaginative. They see possibilities and potential everywhere in the world around them and come up with endless ideas of how to improve systems and create new, innovative programs. They are excellent troubleshooters who can stay calm in a crisis and come up with many alternative pathways to getting a job done. 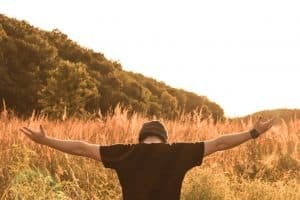 ENTPs have an excitable, inspiring personality and are driven by their visions and an ever-expanding set of interests. ENTPs use Ti to analyze systems, expand their knowledge base, and find ways in which seemingly unrelated ideas are connected. They also use Ti to quickly find logical loopholes and as a result are skilled debaters. They are highly independent, preferring to do things their own way instead of relying on pre-ordained rules and manuals. They hate being controlled by external structures or restricted by deadlines and “meaningless” rules. Marvel’s Tony Stark (Iron Man) is a good example of an ENTP; someone who is constantly wanting to invent more, innovate more, and who has a quick and witty countenance. The ENTP is someone who doesn’t care for bureaucracy but wants to experiment and innovate in their own way, on their own time. They are filled to the brim with ideas, active in experimentation and analysis, and grounded in logic. ESTPs are independent, practical, and skilled with hands-on activities and projects. They are known for being adventurous, brave and impulsive. They thrive on taking risks and trying new and novel activities. While on the outside they may seem like daredevils, inside ESTPs are quick to grasp underlying principles and logical concepts. In school, ESTPs excel in the fields of math, history, and practical skills. They score high on deductive reasoning and thrive in careers that offer a variety of tasks, independence, and a clear structure. While ESTPs are extroverts, they may seem less so than other extroverts. This is because ESTPs are more concerned with action and physical participation in the outside world over talking with numerous people. They would rather be climbing Mount Everest with a group of friends than having long conversations. ESTPs use Ti to analyze systems, form independent logical thoughts, and make decisions objectively. Ti gives the ESTP an inner structure and order and a strong sense of inner control. While externally ESTPS may seem constantly active and adventure seeking, internally ESTPs are usually self-disciplined, realistic and practical. They can analyze nearly any situation, diagnose the problem, and determine how to fix it. They are some of the quickest responders in a crisis, and use their Ti to find ways to solve real-world problems in the here-and-now. INFJs have Extraverted Feeling (Fe) as their main decision-making function. This causes them to naturally absorb the feelings of the people around them. As a result, INFJs work tirelessly to make sure the people around them are happy. However, when the INFJ is alone they prefer the world of intuition above all, and balance that out with their introverted thinking. The MBTI® Manual says that INFJs score higher on deductive reasoning than any other feeling personality type. They also are one of two types with the highest college GPAs. INFJs are one of the most commonly mistyped personalities, and one of the easiest ways to tell the difference between an actual INFJ and a mistyped INFJ is to look at how involved they are with their emotions. INFJs easily absorb other people’s emotions and can get very stressed in atmospheres of conflict, yet internally they are much less focused on feelings than most other feeling types. 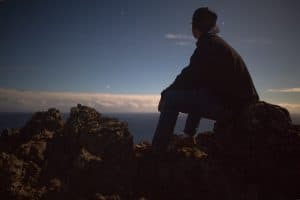 Many INFJs when they are alone get stuck in what is called a “Ni-Ti loop” where they focus on intuitions and connecting underlying principles to expand their knowledge base. They can obsessively try to learn more and more about something they’re interested in. 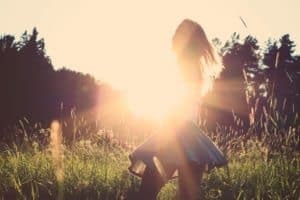 Unlike INFPs, INFJs are actually somewhat unaware of their own emotions. This is because Introverted Feeling (Fi) is not in their primary function stack and they value intuition above feeling. Ti is the INFJs “relief” function. They enjoy using it when they are in a stress-free environment. For this reason, many INFJs enjoy collecting intense volumes of knowledge and reading non-fiction books. They may enjoy mind bending puzzles and brain teasers that keep them mentally stimulated. However, when making a decision, feeling will still outweigh thinking for the INFJ. In mid-life INFJs will develop Ti more fully and will enjoy being able to be more objective and logic-driven in their decisions. ISFJs, like INFJs, have Extraverted Feeling (Fe) as their primary decision-making function. They will first consider the needs of others around them before making a decision. They are “harmonizers” always wanting to ensure that everyone is taken care of and their needs are met. However, internally ISFJs are first of all sensors. They are keenly aware of details around them, and remember a vast storehouse of facts and details from the past. They are practical and kind people who will go out of their way to provide hands-on help to people who need it. ISFJs use Ti to analyze and think critically when needed. They like to have a logical basis for their decisions regarding their own personal lives. Ti is also the ISFJs “relief function” which means during relaxed times in their lives ISFJS may enjoy utilizing Ti a great deal. They may enjoy brain-teasers, puzzles like Sudoku, and expanding their knowledge base in whatever fields interest them. They apply practical knowledge to whatever situation is at hand and can easily make logical decisions that coincide with the needs of others around them through both Fe and Ti. Academically, ISFJS are one of the two types least likely to have trouble in school. They especially excel in elementary school as children, and are often at the top of their class. In mid-life ISFJs will develop Ti more fully, which allows them to think more objectively and form logic-driven conclusions. Ti is the most unconscious of the ENFJs primary functions and therefore the least accessible to them. ENFJs rely most fully on Extraverted Feeling (Fe) and Introverted Intuition (Ni) and will experience Ti more as “background noise”. That said, ENFJs (like all types) are somewhat captivated by their inferior function. ENFJs strive for a sense of inner control and logical competence and may have some Ti interests; for example, reading extensive non-fiction books or taking up formal study in math. However, even with their fascination with Ti, ENFJs still are much more focused and skilled in the world of feelings and values and emotional intelligence. At certain times in life ENFJs may overuse their dominant and auxiliary functions (Fe and Ni) and cause the two functions to wear out. This usually happens during times of extreme or chronic stress. When this happens, they may fall “into the grip” of Ti and become uncharacteristically critical of themselves, finding flawed logical reasons to blame themselves for any and every failure. They may also become obsessed with analyzing irrelevant data to find some ultimate truth or reason for their distress. To find out more about this you can check out my article How Each Myers-Briggs Type Reacts to Stress (and How to Help). As ENFJs get into their 50s and 60s they will develop Ti more fully. This will make them seem more independent and logically sound in their beliefs and ideas. It will also become easier for them to make more objective decisions. ESFJs, much like ENFJs, experience Ti more as “background noise” than as a real driving force in their lives. They are focused primarily on harmony and will consider the feelings and emotions of other people when making decisions. As a result they may feel incomplete and unsure of themselves when trying to make objective decisions. All the same, because Ti is their inferior function, ESFJs strive for a sense of inner control and logical competence, and they may try to utilize Ti by teaching themselves new skills or reading non-fiction books. No matter what they may try, however, their natural skill will always lie in emotional intelligence more than objective logic and problem-solving. At certain times in life ESFJs may overuse their dominant and auxiliary functions (Fe and Si) and cause the two functions to wear out. This usually happens during times of extreme or chronic stress. When this happens, they may fall “into the grip” of Ti and become uncharacteristically critical of themselves, finding flawed logical reasons to blame themselves for any and every failure. They may also become obsessed with analyzing irrelevant data to find some ultimate truth or reason for their distress. To find out more about this you can check out my article How Each Myers-Briggs Type Reacts to Stress (and How to Help). As ESFJs get into their 50s and 60s they will develop Ti more fully. They will enjoy more independent logical thought and be able to make objective decisions more easily. Has this post helped you? How have you experienced Introverted Thinking in your life? Let me know in the comments! I would add some Philosphers to the list of INTP, Immanuel Kant, Schopenhauer etc..
Good point! There are definitely a lot of amazing INTP philosophers 🙂 I can’t get to that right now, but I’m putting it in my notes to add soon. Wouldn’t a person who uses Introverted Thinking (Ti) do things that a person who uses Extraverted Thinking (Te) would do, for example, read a manual anyway to do things if necessary to meet the demands of school of subjects that aren’t interesting just to get the grades, short amount of time to quickly put together a complexly built table, and etc. Wouldn’t a person who uses Ti read an vehicle’s owner’s manual anyway just to learn everything about the vehicle in addition to tinkering around? I think people who use Ti may appear to have traits of Te because of parents who want and teach external organization, school, work, and etc. It be interested to learn more about Te as a shadow function. Not sure what I use, but now that I graduated from college, I see myself more of a Ti user than a Te user: troubleshooting problems for fun and work, learning how and why things work, exploring the different parts of my vehicle, building a computer, and etc. Also, http://www.psychologyjunkie.com‘s “recent posts” automatically changes post pretty fast (by the time I scrolled down, sometimes I find myself having to click the left arrow in order to get back to the most recent post). Maybe slow down the automatic change or remove it? There are definitely sooo many variations within type and each type does use all eight functions (Fi,Fe,Ti,Te,Si,Se,Ni,Ne) your type just shows which ones you prefer. So a Ti-user will prefer to troubleshoot things their own way, learn by experimenting, etc,. but they still may use Te to get around in the world, they just prefer and are more proficient with Ti than Te. I am wanting to write more posts about each type’s shadow functions but those require a lot of research and I haven’t quite learned all I want to to write with authority on all the shadow functions yet. Keep an eye out for them though! Thank you for letting me know about the recent posts issue. I will see if I can figure out how to fix that. I had someone else design this page so I’m not sure exactly how they set it up. I appreciate the heads up though! In my experience (INTP), How-To manuals are a huge time-saver. They’re a great way to figure out how everyone else does something which means that usually, that’s not what the Ti user will be doing anyway. They’re probably trying to figure out the most efficient/competent way to do something and that usually involves a lot of troubleshooting/researching/etc. You’re never going to find that king of stuff in a How-To manual. Really, truly love your work. You write so well, and are so easy to understand. Have you thought about making some videos for YouTube? As a fellow INFJ, I know that idea sounds frightening (at least it does to me! ), but perhaps you could start small with info-graphics instead of just you, alone in a room, talking to a camera. I only suggest this because I think you might reach a wider audience, not simply because it’s YouTube, but because there are many types that just dislike reading! Whatever you do, just don’t stop. Your work is stellar and I, for one, connect so strongly with what you say. I know it’s a TON of work, but I’m so grateful that you’re doing the work you’re doing. Thank you so much for the kind words! It’s also great to meet another INFJ/ISTP couple:) I’m an INFJ married to an ISTP myself! I really think there must be some kind of special attraction between these two types because it’s the most common pairing I come across in my blogging. Hi there, this is the first time I have happened upon this blog. I am in career transition and at 51 thought I would revisit my type development. I originally took the MBTI in 1995 when I trained to become a facilitator. I earned equal raw scores for E/I, which I love because while I know I am an I, I can turn on E when I need to (only to need recovery time afterwards:) I recall a strong F and J, no question. Interviewing has always been problematic for me, and I believe the NF is the reason why. I am becoming more sensory with age…Art for example, but I wish I could do a better job of expressing my logic brain because I am very methodical. Incidentally, I am working on my doctorate and should be finished by the end of this year, 2017. I could use some interviewing advice. Thank you!! I would like to know how Ti is used by other types, to whom Ti is not in 4 main functions, like, how INFPs use Ti. That would definitely be interesting, but much more complex, because the shadow functions don’t always operate in the same order as the primary functions do. Still adding it to my blog “to-do” list though 🙂 Thank you for the suggestion!